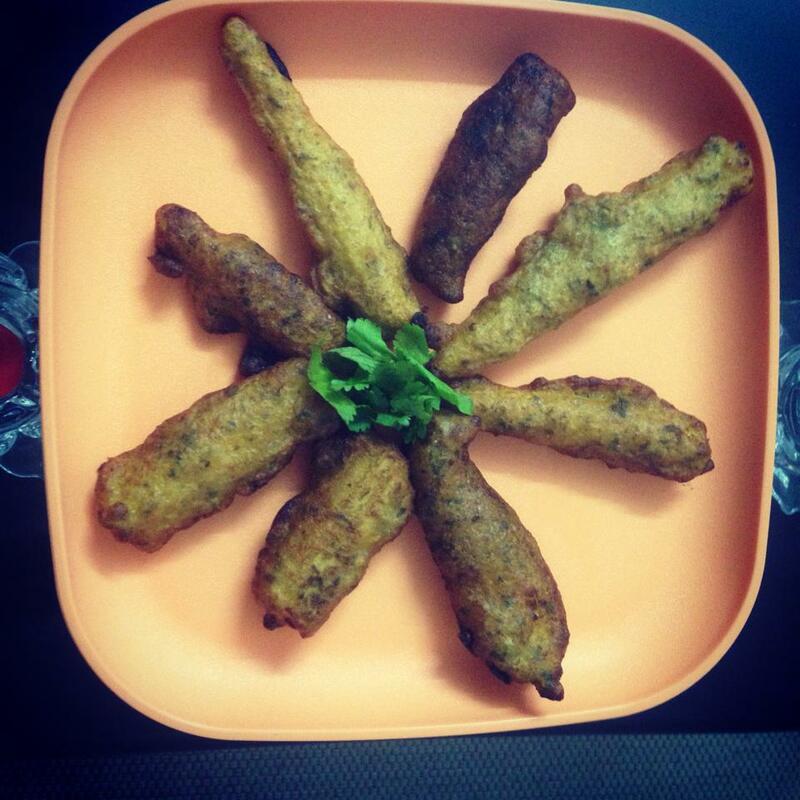 The choice of baby corn was his and I wanted to make something simple yet YUMMY and in no time…!!!! There you go!!! Since this is a simple recipe, I will straight away to the preparation!!! Grind (blend): Fresh coriander, curry leaves, ginger, garlic, green chilli and Jeera. Into the blended mix, add about 1 tbsp of maida and 1 tbsp of rice flour, salt and mix. Add fresh lime juice to this and mix it properly. Since there would be water from the coriander and lemon, you would not need more water. However if you need more, you may add one or two spoons. Dip the baby corn in the mix and fry it in oil till it gets the cooked color!!!! And YUMMY EASY BABY CORN starter ready!!!! Surprisingly, this did not take so much oil too!!! So the starter is not that sinful too 🙂 EnjoY!